I do not think I have so thoroughly entertained with music while being baffled by the name of the record label. Camo Pants Records is either a goofy name with no meaning or some hidden tongue and cheek reference to death metal fashion. 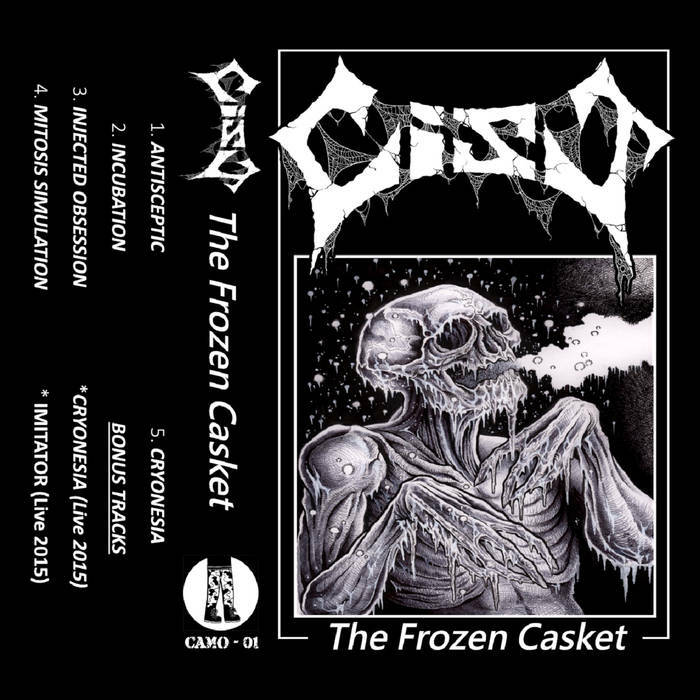 I think I spend so much time discussing this aspect as Cist’ Frozen Casket is the inaugural release for the UK label and if subsequent records are going to be as good, then we need to get this name thing worked out. 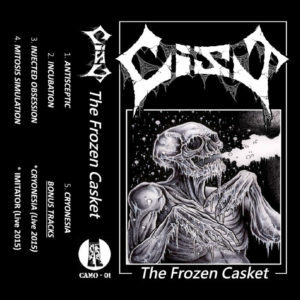 Cist is a Russian outfit with an unabashed infatuation with 90’s US death metal and 80’s European thrash. I know this because their Bandcamp page states they are “high speed, manic, death thrash, forged through an uncompromising meld of eighties era Tampa death metal and aggressive European style thrash.” Cool, we know where to start. Pestilence, Death, Solstice, and Obituary are all ghosts which hang around this newcomer and by the sounds of their first EP, this band nails everything about the sound. Though I usually applaud bands for not becoming too absorbed in costume, my love for old school death eclipses everything else and songs like “Antisceptic” are sugary and sewery in its enjoyment. I still have no idea what the record label name means but I am willing to waive them through as long as things like The Frozen Casket keep getting produced. Camo Pants and Cist make a strong declaration for the beginning of the year and provides a wonderful soundtrack for Valentines Day. This holiday, spend it in the arms of 90’s era death / thrash and die a thousand times.